We have list of all samsung frp bypass apk & PC tools, you can download Samsung tools easily in just single click, find below top Samsung FRP Bypass Tools, just choose any one that you want, and click to download, in single click downloading will start, and then you can enjoy top frp tools for your Samsung Galaxy devices. 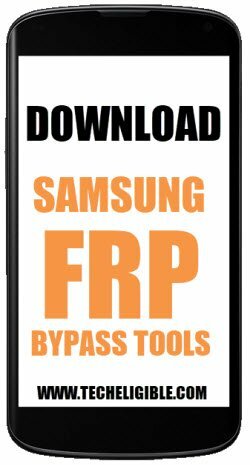 We will describe you 2 methods about how to use Samsung FRP Bypass Tools, one method is for APK Tools, and 2nd Method is for PC Tools, apk means these are the tools in apk application extension, and these tools can only be run in Android devices, and PC Tools can only be run in PC/LAPTOP device. 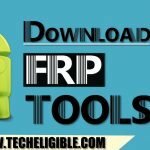 Below you will get list of all Samsung FRP APK tools, before downloading, we would recommend you to read this first, if your Samsung Galaxy device has android version like 8.0 or 7.0. so for that you should follow (Talkback) method, and by following this method, you need to access “Chrome Browser”, once you access there, simply open our this techeligible page in your mobile, and then download from there frp bypass tool to unlock frp, if you want to understand this method in more description, we would like you to CLICK Here, and find your perfect frp bypass method, that relevant to your model no, and just follow rest method from there, we have updated multiple frp bypass methods of Samsung Galaxy devices by matching model number. You will need to enable “ADB Mode” in your device, if you are unable to get ADB Mode, so you can also keep your device on Download Mode, and then flash your device with “Combination FIRMWARE“, after that you can easily enable “USB Debugging” and ADB mode, once its enabled, simply install software from above, and then connect your device to computer, after that just bypass frp lock easily. I have a samsung galaxy amp 2 that is Google locked and I can’t find the right tool to bypass Google lock. Please help. Flashing Combination ROM from Odin v3.13.1 in Download Mode Fails every time. combination files must have the same binary number as the original firmware. My Samsung S8 como inorar conta google, men.